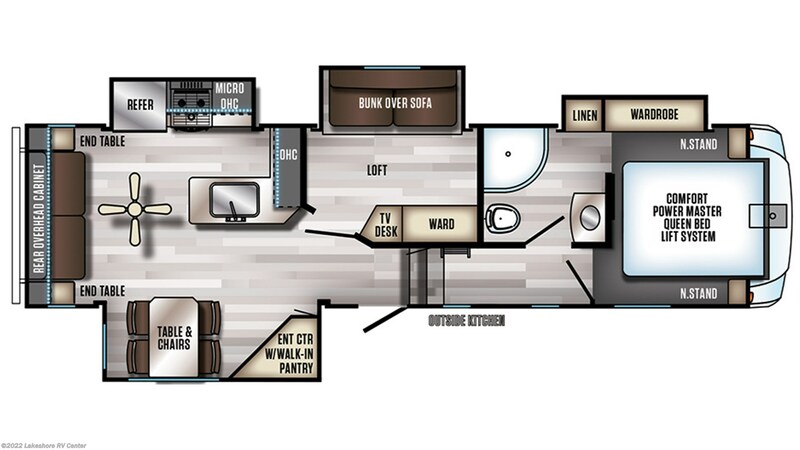 andnbsp;Start up a cookout on the campground with the outdoor kitchen!andnbsp;Of the 2 beds in this 5th Wheel, the loft bed has an extra comfy mattress! Hidden up above, the loft offers extra privacy as well as comfort. Check out Stock # 27951 - 2019 Forest River Arctic Wolf 295QSL8 on forestriverrvsource.com!